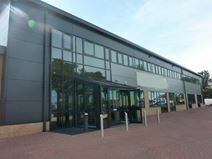 This is an excellent business park location, around 30 minutes away from London Kings Cross. This modern newly fitted building provides a range of desk space available ideal for individuals and small businesses in an open-plan light office. Terms are flexible and parking is included. Local rail services provide great links to London and the space is located close to Junction 9 and 10 of the A1M motorway. This pleasant centre is comprised of a combination of office space, workshops and storage areas. Units vary hugely in size making the property suitable for companies of all levels and the offices are furnished, with reception and message services. Letchworth rail station is a short walk away. This modern building consists of elegant office spaces sophisticatedly decorated to offer a highly professional working environment. Provided with a wide range of services and facilities, these offices offer an ideal place to run a successful business. The building is located in the business district of Letchworth, within easy reach of the town centre and well served by transport links.